Elite Sports Tours had a unbelievable time in Detroit this past weekend for the Toronto Raptors at Detroit Pistons Bus Tour down to Detroit, at Little Caesars Arena. 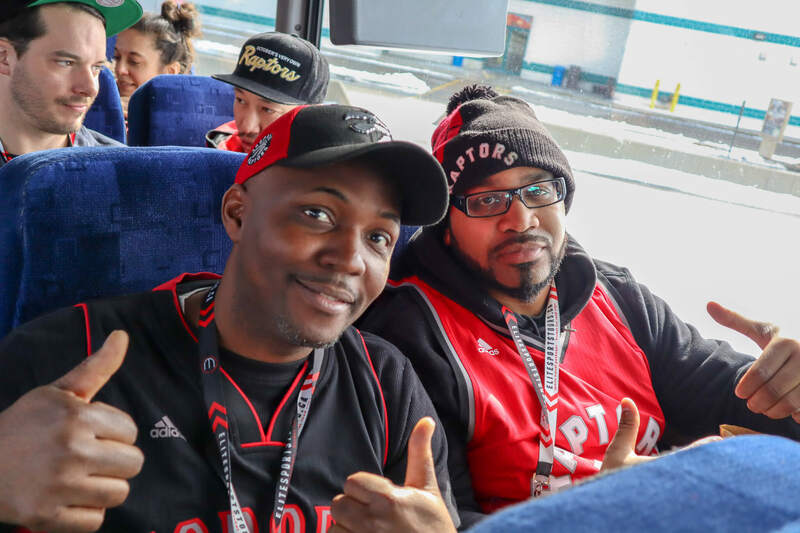 We had multiple bus loads of passionate Toronto Raptors fans enjoy the ultimate basketball bus trip experience in Motor City. It's always great to see some familiar faces on the trip, with fans who have traveled with Elite Sports Tours before on other bus trips. Everyone enjoyed the bus ride down the 401 with some movies, trivia, prize giveaways and jersey raffles for a throwback Toronto Raptors Vince Carter or Tracy McGrady jersey. We had bus pick up locations all across the GTA in Whitby, Toronto, Burlington, Kitchener and London. One the bus tour arrived in Detroit, we headed to Buffalo Wild Wings for our official Elite Sports Tours Pre-Game Party from 3-5 PM. 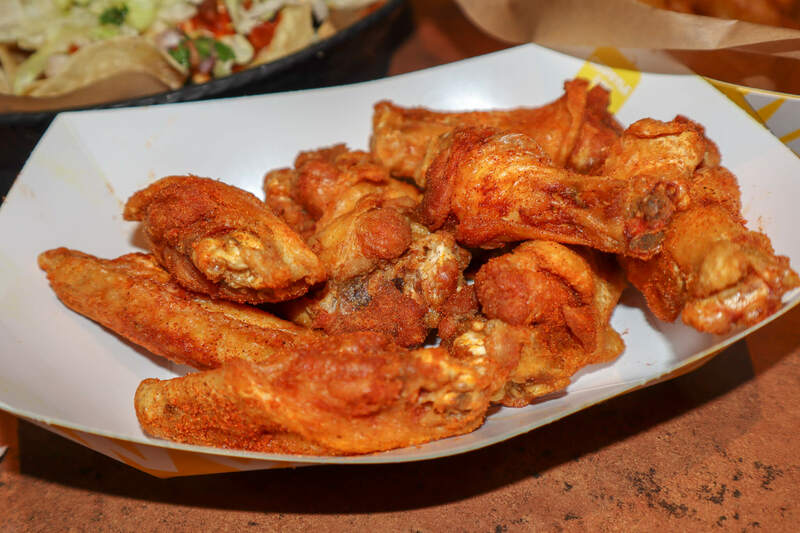 Our guests fuelled up for the big game with tasty appitizers, delicious wings and ice cold beverages. 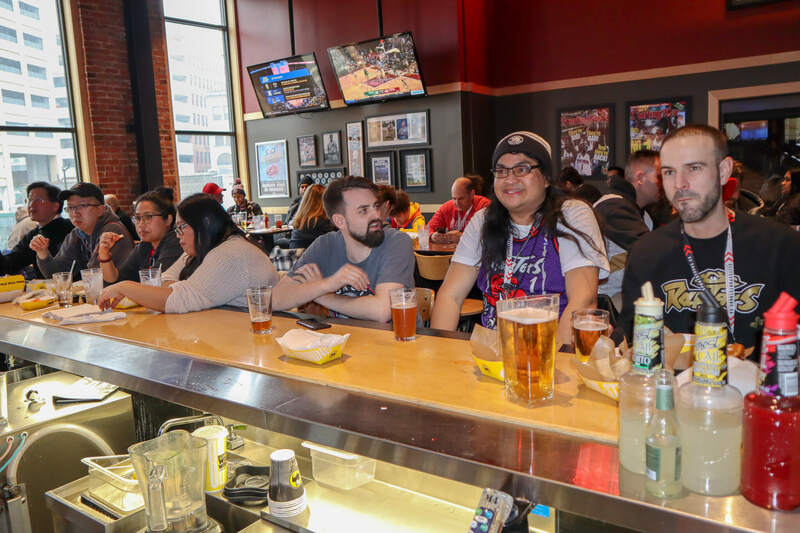 BWW was gracious enough to host our pre-game party in the upper level private room to give our guests a better chance to meet and mingle with other die hard Raptors fans. Once everyone was filled up, it was time or the buses head to the arena! Some lucky fans had an opportunity of a lifetime with a true "Elite Experience". 20 of our guests we're able to head down on to the court and give their beloved Toronto Raptors high fives before taking on the Detroit Pistons. The only thing that could have capped off a perfect day was a Toronto Raptors win, but unfortunately for the North faithful, the Detroit Pisonts came out victorious with a 112-107 overtime win. Despite the loss, all the fans were treated to a fantastic basketball game with both teams putting on a great show at Little Caesars Arena. The night wasn't over once the buzzer sounded at the end of the game as our guest had the opportunity to head down to the after court and take a free throw. We couldn't think of a better way to finish off such an amazing day in Detroit! 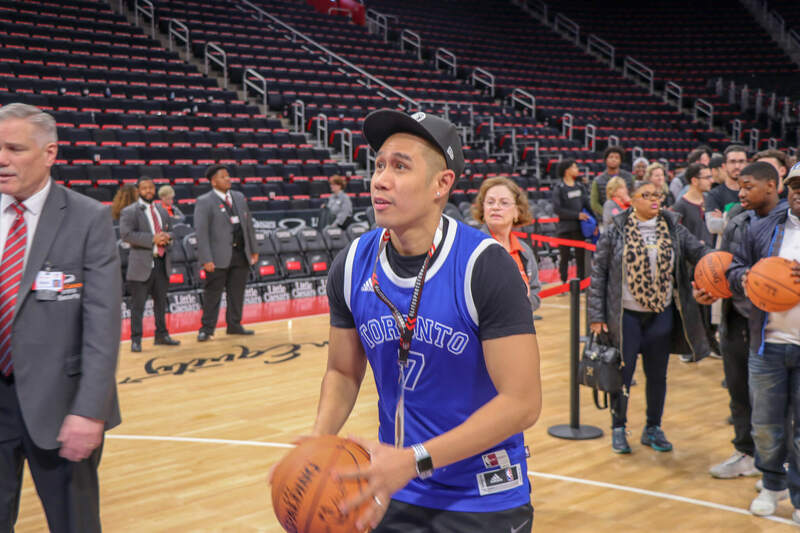 We can’t wait to be back at the Little Caesars Arena for the next Toronto Raptors at Detroit Pistons Bus Trip on March 17th 2019! We couldn't think of a better way to celebrate St.Patrick's Day! If you want to join us in the future, sign up for the newsletter to be notified on the release of all our ultimate sports road trips! 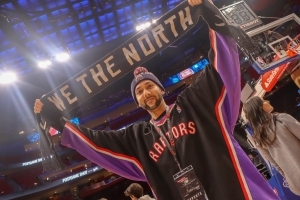 After a busy month of hockey road trips in Februrary, Elite Sports Tours and many passionate basketball fans are heading down the 401 to Little Caesars Arena for two Toronto Raptors at Detroit Piston Bus Trips on March 3rd and 17th. Always one of our favourite Toronto Raptors Bus Trips to put together, as we send several buses and take over Detroit. It basically becomes a Toronto Raptors home game on the road, something we feel gives them an advantage. 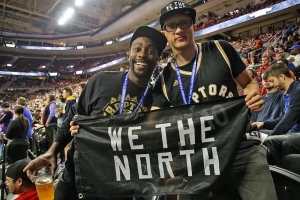 So be sure to show your support and join us on one of our popular Toronto Raptors Bus Trips in the future! Elite Sports Tours was just in the Motor City at Little Caesars Arena a few weeks ago for a Toronto Maple Leafs at Detroit Red Wings Road Trip on February 1st and we could not be more excied to go back to see a basketball game in one the newest and nicest arena's in North American professional sports. One of the best parts of traveling with Elite Sports Tours on our Toronto Raptors Road Trips is meeting other fans like yourself and cheering on the squad. It becomes a lot more than a simple ticket and bus ride, it's an experience like none other. 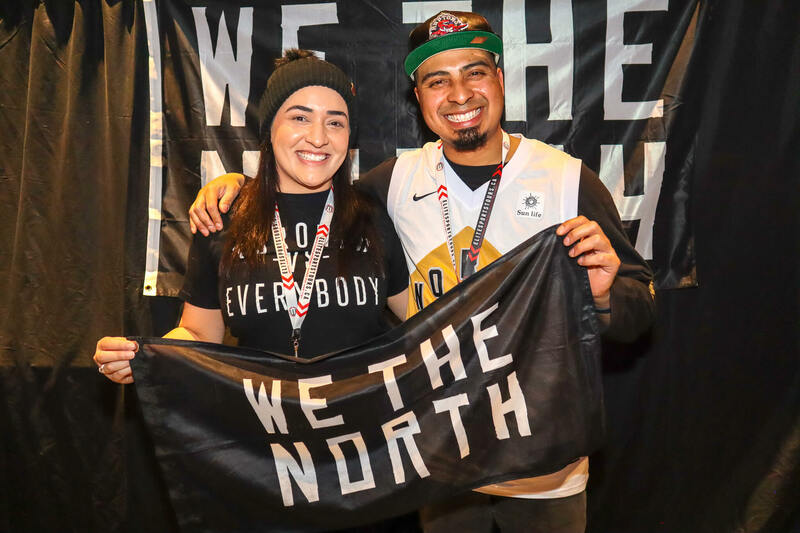 From the momment you wake up in the morning and throw on your favourite Toronto Raptors Jersey and head to the pick up location where you meet up with other Toronto Raptors fans to board the bus, Elite Sports Tours takes care of everything else. Once we head down the 401 and finish picking up other die hard Toronto Raptors fans along the way, we cross over into Michigan to grab some food and drinks before the game. After all we are going to need our energy, because we have 4 quarters of "Let's Go Raptors!" chants to belt out at the top of our lungs. 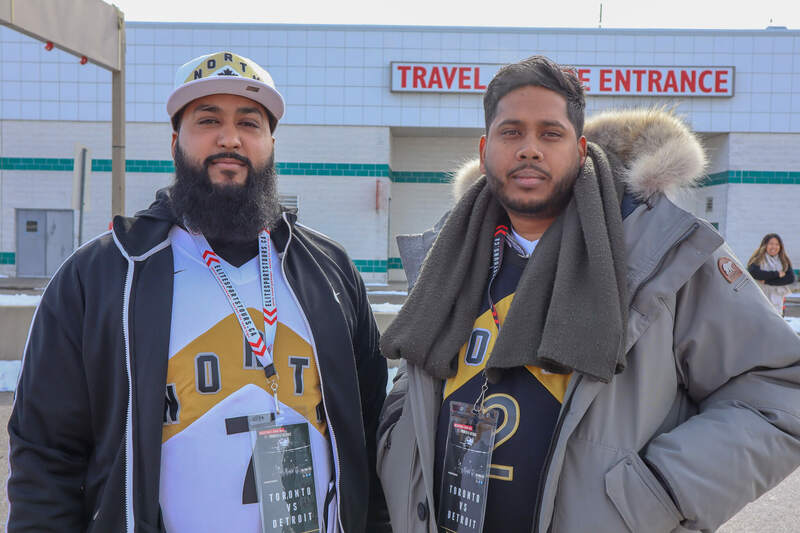 Elite Sports Tours has setup a Pre-Party at Buffalo Wild Wings for all the Toronto Raptors fans to interact, mingle, play some games, win some prizes and of course enjoy some food and beverages before the game. 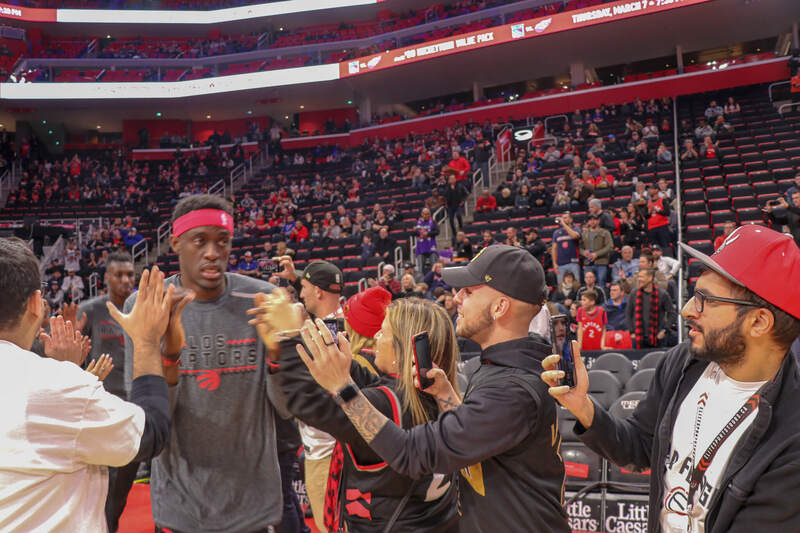 Some lucky Toronto Raptors fans will have the chance to be a part of the 'high five tunnel' before the game on March 3rd as the Toronto Raptors run onto the court. An Elite experience for our fans that goes beyond driving down yourself and buying a ticket. The opportunity to be a part of something bigger. Cheering on your favourite team with other fans, making new friends, traveling to new cities all for the same reason, to cheer the Toronto Raptors on. Elite Sports Tours makes it easy for you and your friends. 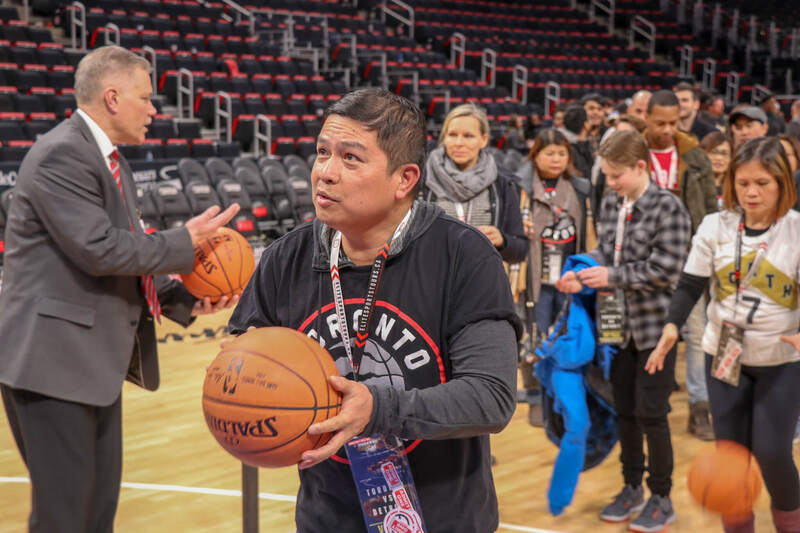 Everyone who travels with Elite Sports Tours on the Toronto Raptors at Detroit Pistons Bus Trip will get the opportunity to take a 'free throw' on the court after the game at Little Caesars Arena. 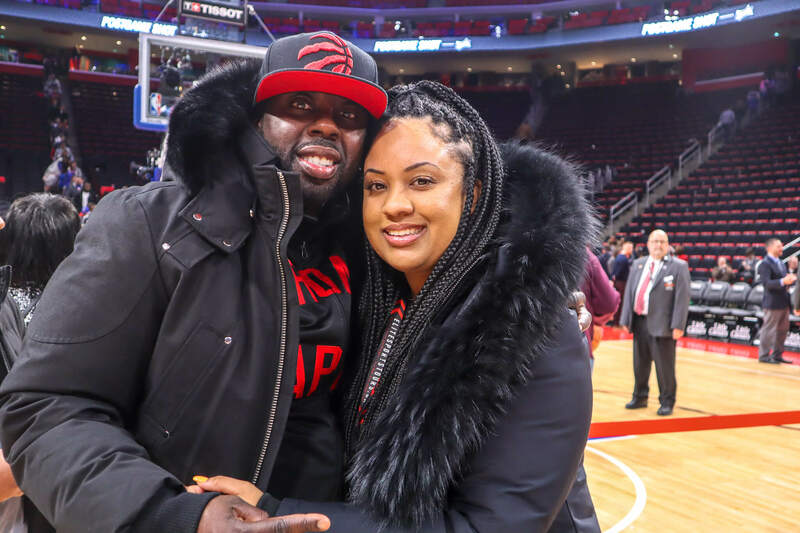 These two trips are sure to create some memories of a lifetime for Toronto Raptors fans and some new members of the Raptors Road Crew. Packages include round trip bus ride with pick up locations in Whitby, Toronto, Burlington, Kitchener and London, 100 or 200 level game ticket and an pre-game party at Buffalo Wild Wing in Downtown Detroit. Basketball fans from across the country will have an opportunity to mingle and get ready for the big Toronto Raptors vs. Detroit Pistons game while enjoying some great food and old beverages. Next week we will be announcing our winner of the Labbatt's Elite Experience for an upcoming Toronto Maple Leafs hockey game! This will include seats against the glass, access to the Labatt's box, which includes all you can eat and drink! Someone from our Toronto Maple Leafs vs. Detroit Red Wings and Toronto Maple Leafs at Montreal Canadiens road trips will be be selected as a winner in a draw for the Elite Experience. If you don't already, like us on Facebook and follow us on Twitter and Instagram to stay tuned for the big announcement ! If you want to join us in the future, sign up for the newsletter to be notified on the release of all our ultimate sports road trips!